Sputnik: What do you make of President Trump's statement against South Africa's attempts to take land from white farmers? Is this comment useful to having this issue highlighted and finally sorted out? Ruth Hall: Well I think that his comments were ill-informed, inaccurate and misleading. It shows that he is essentially relying on very biased news sources, I would even say "fake news." You know, the situation with land reform in South Africa is that currently it is an essential element of overcoming the legacy of apartheid, which removed the vast majority of black people from land ownership in both rural and urban areas. And so we have a very clear constitutional framework, which says that the government can and must embark on a land reform process to give black people access to land. 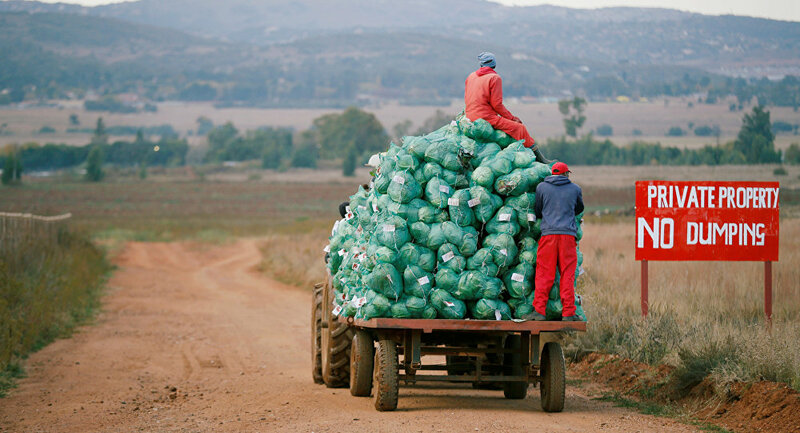 It currently already says that the state can expropriate land, but needs to pay just and equitable compensation, which need not to be at market price. President [Cyril] Ramaphosa has made it clear that the state will only expropriate without compensation in particular cases where it is just and equitable to do so. For instance, where land is held for purely speculative purposes, is vacant or underused or unused. And so, he is not proposing that farms will be ceased. President Trump's comments are very damaging to South Africa, to the South African economy and this shows that he has been listening to Fox News instead of to our president. Sputnik: Is the expropriation being policed correctly though? Ruth Hall: Time will tell. What we are looking at now is the first cases where black communities who were dispossessed of their land have claimed back those farms and of course there is a constitutional and political imperative that people who were unfairly dispossessed be allowed to go back to that land. Now there are a few cases now where the white owners of the farms have refused the payment that the government has offered. And the government is now moving to expropriate them, but it is offering compensation that is below market level. And so what we are likely to see in the next few months is that these cases are going to be contested in court. And for the first time our constitutional court will have an opportunity to rule on what is just and equitable, and whether it's fair to pay below market price in these particular cases. I would say, I think that the institutions that we have in South Africa, including our very well respected constitutional court, will provide over this process and determine what is just and equitable. Sputnik: Are you expecting some sanctions against South Africa because of this? Ruth Hall: I would be very surprised. When the news of the Trump tweet came in, I was actually at a major meeting of both white and black farmers — a big national meeting about the land question — which was a very constructive and positive meeting. In fact it was addressed by the deputy president who assured farmers that this would be done in a responsible way. And in fact the president is establishing an advisory committee, which is going to include representatives of the major white and black farmers associations. The way in which South Africans have responded to this is generally to think that President Trump firstly has not bothered to found out what is happening.